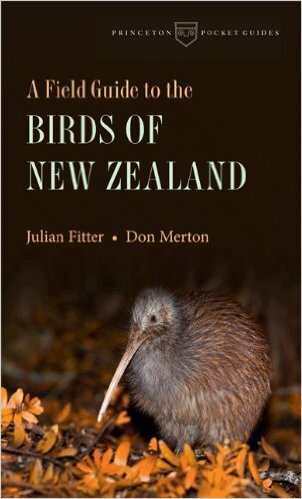 “When I visited New Zealand in 2005 the standard field guide to the birds was Heather, Robertson, Onley, which is an outstanding reference, but its large format made it inconvenient for use in the field. Thankfully, Princeton University Press has published a brand new guide to New Zealand birds. New Zealand is commonly described as “the land of birds.” Now, there is an easy-to-use guide for all those interested in this country’s remarkable bird population. A Field Guide to the Birds of New Zealand contains over 600 stunning photographs of the more than 350 bird species likely to be seen in this area of the world. Comprehensive and compact, the book includes full descriptions of all native species and regular visitors, distribution maps and measurements, key information on national parks, and useful information on ongoing conservation efforts in the country. Filled with handy tips for nature enthusiasts wanting to make the most of their trip, this is the only bird guide that anyone exploring this region will need.